Rita has been providing insolvency advice since 1989. 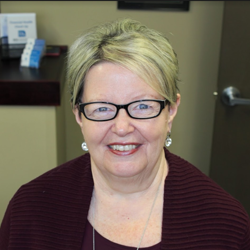 Rita is a certified Insolvency and Restructuring Professional and a Licensed Insolvency Trustee (Bankruptcy) Rita is licensed for all of the Atlantic Provinces, but her primary focus is Cape Breton, Guysborough & Antigonish counties. Rita has acted as trustee in both consumer and corporate matters; consulting for debtors and creditors. 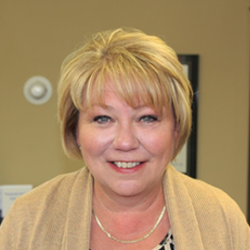 Rita is a member of the Canadian Association of Insolvency & Restructuring as well as the board of the Nova Scotia Association of Insolvency & Restructuring Professionals. Rita is a member of the Rotary Club of Sydney and currently the acting secretary for the 2015/2016 year. 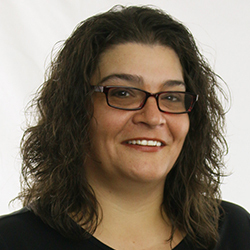 Charlotte is an Estate Administrator on our team and has a diploma in Executive Office Administration with over 20 years experience working in the administrative field. Charlotte is also a former Medical Technician in the Canadian Forces Primary Reserve with 35 Sydney Field Ambulance here in Cape Breton. Charlotte likes to be involved in local community events such as the Cape Breton Fiddler’s Run, Celtic Colors but is most passionate when volunteering with Girl Guides of Canada. She has been a member of Girl Guides of Canada for several years in Cape Breton and has held various positions within this organization. Charlotte initially served as a Leader delivering programs to Girls ranging from ages 7-17 then moved into various council positions and is currently a District Commissioner in Ceilidh Area. Charlotte is currently enrolled in the CAIRP Insolvency Administration Course and is looking forward to furthering her education to broaden her knowledge and skills. Andrea has worked in personal finance for over 20 years. The past 10+ years has helped people and companies recover from financial difficulty. She is currently helping people in the New Glasgow and Amherst areas. Andrea has completed the CAIRP Administrator’s Course, Insolvency Counsellor’s course and various other CAIRP Trustee training courses. She also has her Personal Financial Planning designation. Andrea volunteers with the Laubach Literacy Council and is on their Book Fair Fundraising Committee. Born and raised in North Sydney, Doug comes from a background of education. In 2004 he acquired a Bachelor of Science degree from CBU with a major in Psychology and in 2006 obtained a Bachelor of Education degree from UNB. He has worked for an international insurance and investment corporation, training employees how to use new software, track and manage their own business, and how to make the most of their time and money. Doug is a family man and avid outdoorsman and loves to spend quality time with his wife and son. They spend summers at the beach, going for hikes, and camping. Doug loves hockey and volunteers at a Learn to Skate program in Sydney Mines for adults and children. He also enjoys playing guitar, drawing, painting, running, and working on computers. Currently, Doug is hard at work to become a Licensed Insolvency Trustee while working with Rita Anderson & Associates. 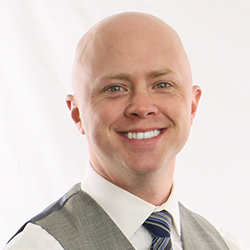 He aims to help Rita grow the business by meeting and helping many new clients from across Nova Scotia. Shelley has recently completed the Age Advantage Plus program through Cape Breton Partnership and joined our team in 2016. Shelley has over 30 years experience working in various positions where she worked in customer service and also in supervisor roles. Shelley was involved with the Sydney Kinette Club for over 10 years and held various council positions such as Secretary, Vice President and President. When not working, Shelley enjoys reading and listening to music. Lisa has been working as an administrative assistant for approximately 12 years and has an honours diploma in Office Administration/Secretarial. Lisa also has a background in the retail field and enjoys interacting with the public and helping people. Lisa enjoys spending time in the outdoors with family and friends camping, fishing, hiking and playing soft ball. Lisa also has been in involved in many organizations around the community, such as coaching the rookie level of baseball with the Sydney and District Little League, volunteered for many fundraising events which include organizations such as Tae Kwon Do, Roller Derby, and her children’s school. 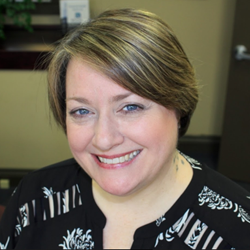 In this past year Lisa completed her Fundamentals in Income Tax Course and is currently working on receiving her Insolvency Administrators Course. Lisa looks forward in assisting with each client to ensure their experience here at Rita Anderson & Associates Inc. is a positive one.